Tone 3 is the first day of Movement. When we take our first step toward a Dream, we create a new Vibration. All movement creates vibration from a chain reaction of atoms moving each other. If we saw the micro-experience, we might see something like balls on a pool table. We can break the pack by random movement and balls could go anywhere. But when we break it, intending a course of movement, we set an intended direction toward an ending. As Above, So Below. This Law applies to everything. When we set an Intention of Thought, the initiating movement sets a direction. Sun/AHAU is the Supreme Creator and a Being of Divinity, the Most Divine Spirit. Sun/AHAU represents the Omega God, the All-in-One God that held the First Intention of Movement in the Creation of Mother Earth and All of Humanity. Our direction was set toward an ending Divinely Intended, that we would Know the Love that inspired our Creation. The Most Divine Spirit of Consciousness would want us to Know that the Words of Creation were only spoken when we were seen as Perfect. We were born as Divine Children, given a Design in our Seed to Experience what we were Intended to Know. Sun/AHAU is the Hero, working behind the scenes to Help us. The Intention of our Divine End holds the Power of a Warrior, whose primary purpose is to fight every battle we are unable to fight for our Self. The Highest Vibration and Power of Love is a Movement that Holds a High Intention for Another. Human defines the Experience of Love as a Sacred Exchange that happens in a Relationship. The Sacred Exchange from the Creator is a Spiritual Experience, a Miracle beyond Human Understanding we could only define as Supernatural. Tone 3 is the first day of Movement. We bring Life to a new Intention through Action or Communication in the material world. Movement creates a Vibration that has a Power of its own to influence. The strength of its influence depends on the Passion behind the Intention. Our Power to Create requires that we Love it enough to Imagine the Joy of its Manifestation. That’s why some dreams stay dreams. We may have a great idea that’s easy to manifest, but without an investment of the Heart it will stay a bright idea. 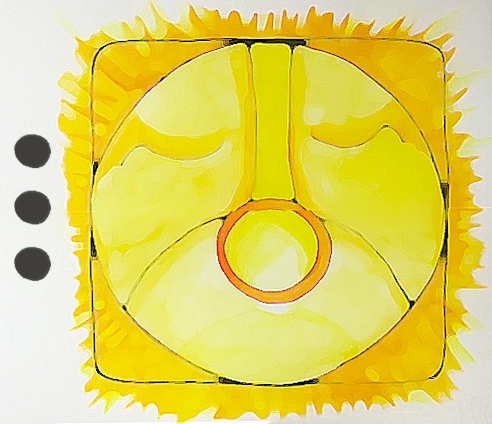 Sun/AHAU is the Creator, the Archetype of a Champion, Master, and Hero who brings the Power of Life, Light and Happiness. As the Divine Masculine, AHAU transmits a Divine Inspiration and Instills the Courage and Will to carry it out. Our encounters with Sun/AHAU always present a new Revelation. AHAU shines the brightest light on what is hidden in darkness, or has been hidden in plain sight. Our Quest for Truth, guided by the Flint/ETZNAB trecena, offers a transformation through the Application of our Spiritual Authority. We’ve seen how our Intention has the Power to Influence our experience and outcome. We are elevated to a Higher Power when we Believe in our own Spiritual Authority. When we exercise Spiritual Authority, we Command Creation… engaging a Greater Power than just our Faith, Hopes, and Dreams. Flint is revealing fear covered up and sweeping it away so we will Know the Truth of our own Power. Our Quest for Truth is asking for a personal application of Power so we will have the Experience it is True.